Welcome to all your Real Estate Services covering the Areas of Anderson, Lake Hartwell, Easley, Powersville, Piedmont, Williamston, Pelzer, Clemson, Townville and Belton. Real Estate is one of the most exciting investments one can make, and it should be a fun and rewarding experience. With Brenda Chandler, you will find everything you'll need to buy or sell a home, as well as learn about the market value of homes you may own in the area. It is her goal to provide you with superior service at all times, so please let Brenda Chandler work for you! When it comes to your home sale or purchase, Brenda Poling-Chandler is making a difference in Anderson County. Focus, drive and determination have allowed Brenda to be one of the Top Producers every year since she's been in real estate. As a Full time professional Realtor with over 20 years of experience, Brenda Poling-Chandler has become one of Anderson's top Realtors. Her professionalism, dependability, honesty, and friendly giving nature make her a natural "people person." Selling or buying a home is a challenge and Brenda definitely loves a challenge. Her strongest attributes are in getting listings and selling them fast! 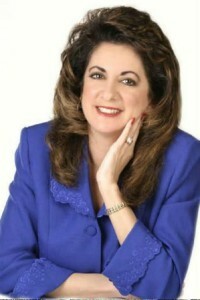 She uses her extensive advertising background and area knowledge to your advantage. With an unwavering focus, she is driven to go the extra mile to make your real estate experience a pleasant one! To help serve her clients better, Brenda is a member of the Western Upstate Association of Realtors, the Anderson Multiple Listing Service and the Greenville Multiple Listing Service. Brenda is married to a wonderful husband Darrell Chandler and they are the proud parents of three children: Ryan, Brittany, Morgan and grandson Landon. They are members of New Spring Community Church and they help serve every Sunday as volunteers.